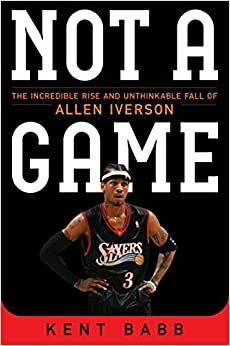 Kent Babb (Washington Post, “Not a Game: The Incredible Rise and Unthinkable Fall of Allen Iverson”) joins the show. We discuss what made Allen Iverson such an incredible basketball player, was also responsible for his eventual demise. You can purchase Not a Game wherever books are sold. Read an excerpt from Kent’s book. Read Kent’s work for the Washington Post.